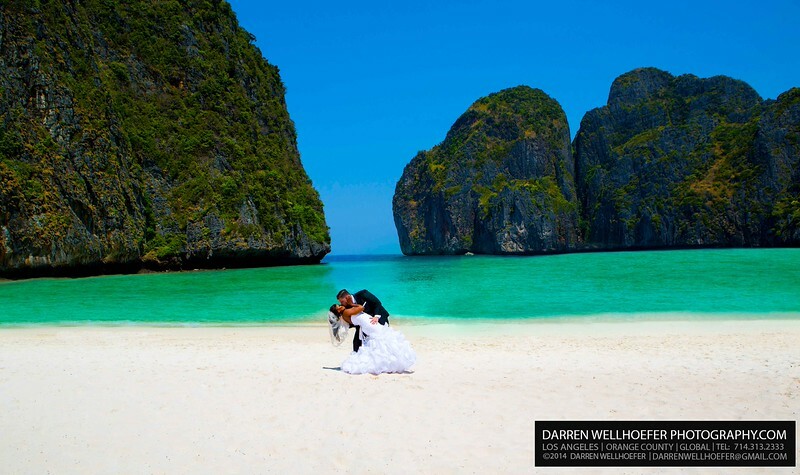 I traveled extensively throughout the United States, Europe, Japan & Thailand for destination weddings. There is nothing better to starting your new life together than to have beautifully exotic destination wedding photographs. For overseas travel, I am a cultured traveler, so I know how to get to places efficiently, quickly & most importantly, safely. A lot of my clients rely on my traveling expertise since I have been to those places before & feel at ease when they realize they are in good hands. An adventurous soul gets some once-in-a-lifetime photographs & isn't that what its all about? Imagine the photograph below hanging as a canvas wrap 20 x 30 on your living room wall.